Leif Eriksson Day Row and Run – Victory or Vahalla! In 1000 AD Leif Eriksson discovered Vinland, largely considered to be modern day Newfoundland. This makes him the first European explorer to discover and make a settlement in America. In 1964, it was proclaimed that October 9th would be known as Leif Eriksson Day in honor of this discovery. In recognition of this day and the explorer’s spirit, we have organized the Leif Eriksson Day Row and Run. 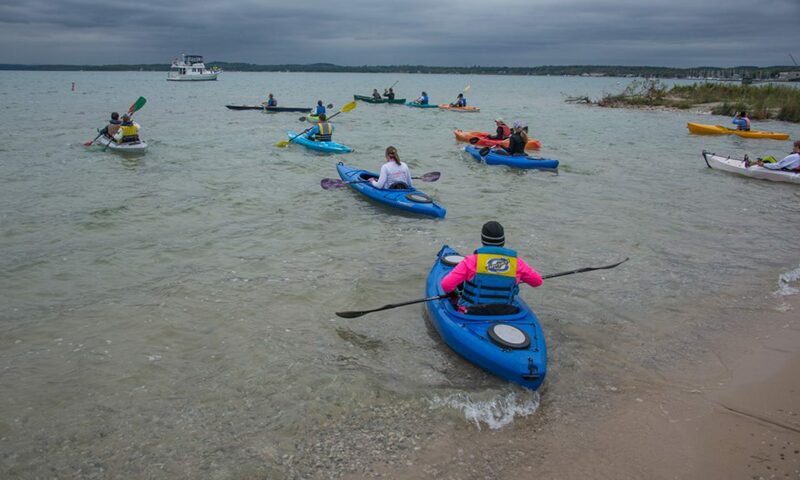 Much like the Viking explorers, the Row and Run starts on the water with a 1-mile paddle boat race in Lake Charlevoix; this is followed by a 5K run. This is the 5th anniversary Row and Run and we hope to celebrate with the biggest turnout yet. This year’s race will be in Charlevoix on October 6th, 2018. The event is a fundraiser to The Charlevoix Rayder Den. The Rayder Den services Middle and High School students who are experiencing food insecurity. The Rayder Den is staffed by members of the Christ Episcopal Church, First Congregational Church, and St Mary’s Catholic Church.